Altea. 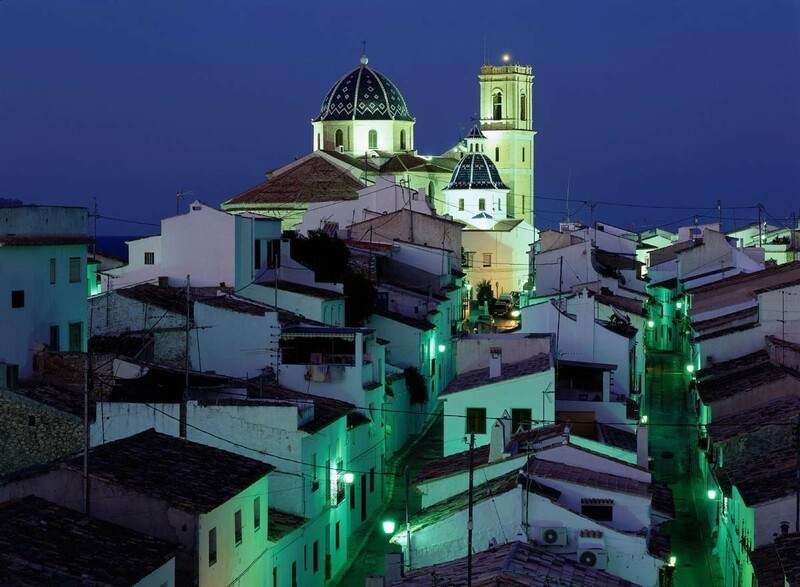 View at night of the village roofs with Virgen de Consuelo church in the background. This church stands out due to its dome covered with tiles with white and blue glass tiles.